While most of us are prone to normal swelling in hands and feet, others may suffer from a common condition called peripheral edema. The other day I went shopping with my dad. He liked a pair of shoes very much, but they were a wee bit on the tighter side, and the next size up was too loose. The sales clerk told my dad that since it was the end of the day, his feet would be slightly swollen…and that was why the shoes felt a bit tight! To prove his point, he told my dad to buy the pair in his size (that felt too tight), try them on in the morning, and return them if they didn’t fit. The next day my dad called and told me the shoes fit perfectly. While he was very pleased, I was a little concerned about the swelling of the feet. What Is Peripheral Edema (Swelling in Hands and Feet)? Peripheral edema is characterized by swelling in your arms and legs (it’s more common in the legs/feet than the hands). The swollen area stretches the overlying skin and can feel warm to the touch. In a few cases, it can also be painful. Most of the time, the swelling is due to a harmless case of water retention. This can happen because of excessive salt intake, being inactive for long periods of time, and even tight clothing. 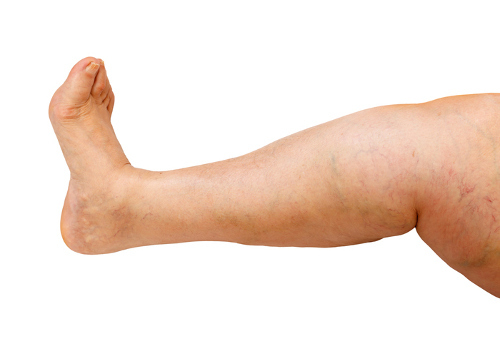 Certain medications and being overweight can also cause the edema. However, there could be other more serious conditions affecting the veins, heart, lungs, liver, or kidneys that could cause the edema. So you’d need to see a doctor to rule these out or to get the proper treatment if you suffer from one of them. Massage the affected area in an upward direction. As I mentioned before, swelling in the hands and feet can be a sign of something more serious. If the swelling is accompanied by symptoms like chest pain, shortness of breath or dizziness, seek medical care immediately. And remember; if your shoes suddenly feel too tight, it may not be your footwear that needs replacing, but your tea. “Edema,” PubMed Health; https://www.ncbi.nlm.nih.gov/pubmedhealth/PMHT0022960/, last accessed August 2, 2017. “Leg swelling, ” Mayo Clinic; http://www.mayoclinic.org/symptoms/leg-swelling/basics/definition/sym-20050910, last accessed August 2, 2017.